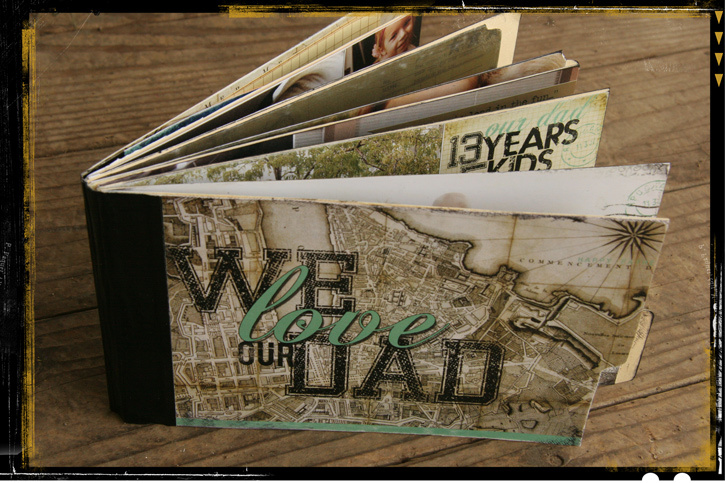 Celebrate Dad with this DIY gift album! What do I get for Dad? This is the question that rolls around at least three times a year: Father's Day, Christmas, and his birthday. 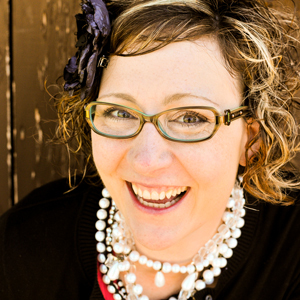 Never fear, Heidi Swapp and I have your solution to that gift conundrum RIGHT HERE! You'll love planning, creating, assembling, and giving this awesome (masculine!) 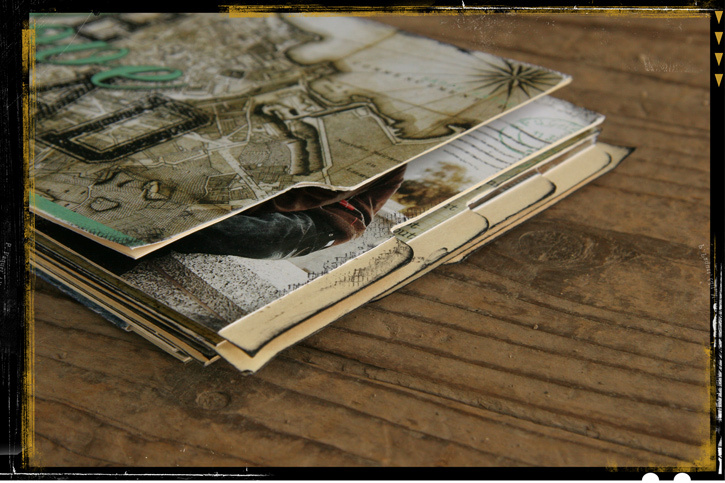 album, filled with photos and genuine sentiment to your favorite guy in the whole world! Teaming up with Heidi Swapp for another Mouse, Paper, Scissors adventure, the Dad album will be something Dad will adore! Constructed from manila folders, and covered in duct tape (yep. seriously),creating great masculine album that you'll love making. I'm Jessica, and I'm in charge of the digi stuff. 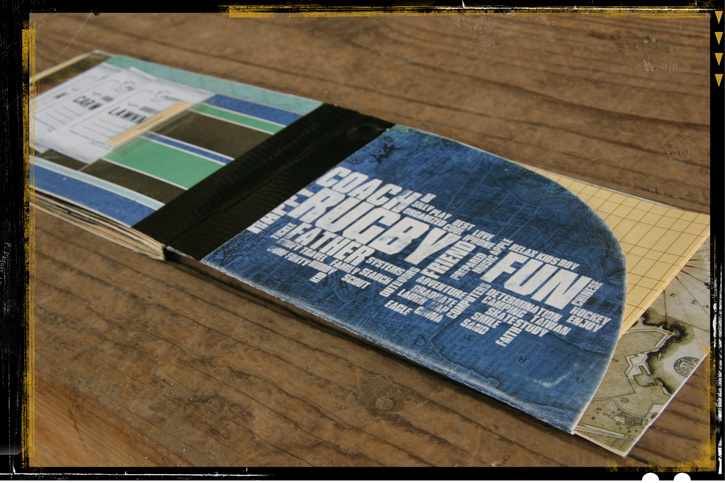 We'll be exploring the possibilities of typography, creating photo collages, and making and using Photoshop brushes! Sound exciting? It is! Once our Photoshop Work is all done, I'll turn you over to Heidi for the paper-production part. We'll walk you through the entire 10-page album, from writing prompts, to page planning, to detailed Photoshop instructions and step-by-step assembly. You'll love it, and we can't wait for you to share what you make! Video instructions for creating your own Album, from Photoshop (Mouse) to printing (Paper) and assembly (Scissors)! Journaling prompts including both Jessica's take and Heidi's take! 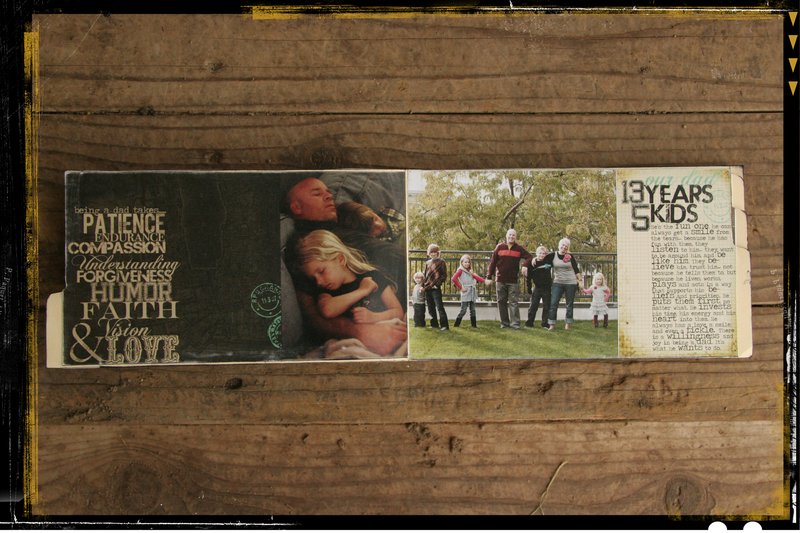 By the end of class, you will have designed, created and constructed your very own album! You will have the opportunity to ask questions through out the class, and see how Jessica and Heidi create their own Dad Album. 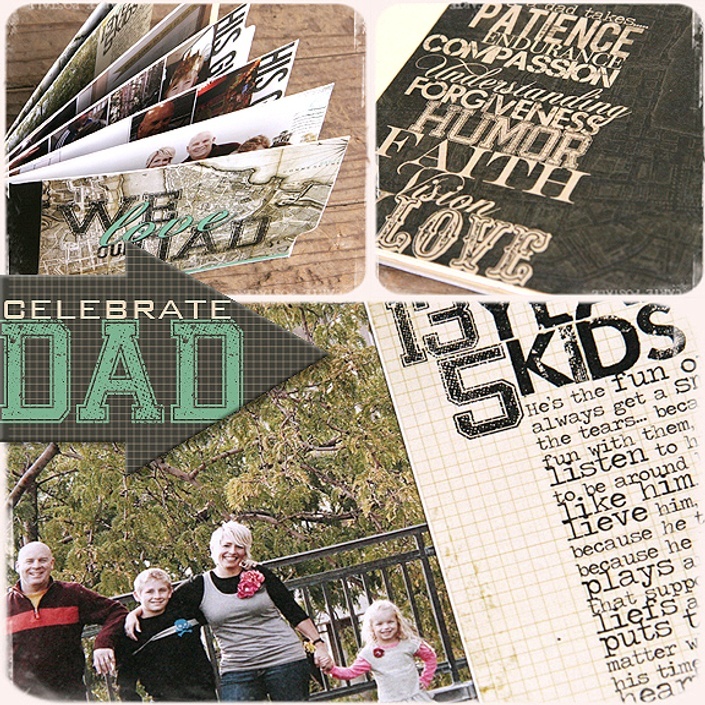 Join us in class and make dad an unforgettable gift! This project is FULLY customize-able, heavy on the computer portions! You will be excited to see how you can use these ideas and concepts to create the same album for different people you love, or even events that you want to capture and document! We can't wait to show you all the cool stuff we've got in store! Register now in time for Father's Day!